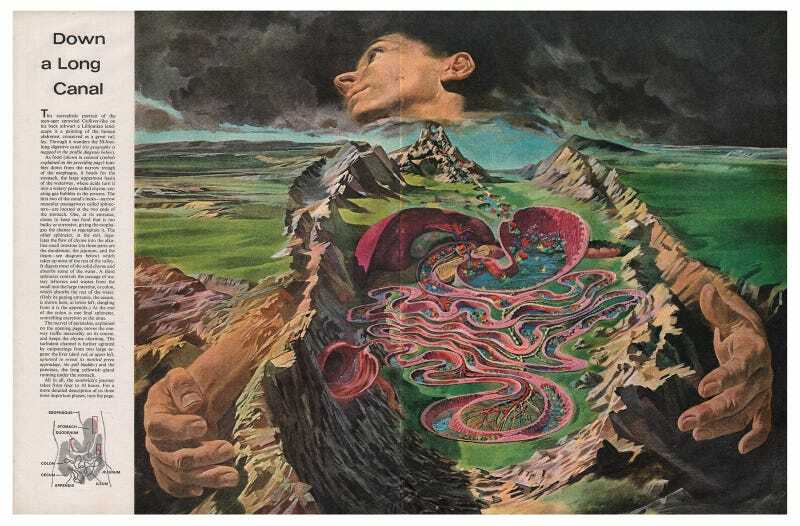 This article from Life magazine on December 7 1962 entitled The Phenomenal Digestive Journey of a Sandwich, illustrated by "America's foremost medical and science illustrator" Arthur Lidov, shows the systems used in the human body for breaking down food and converting it into fuel as industrial machines and alien landscapes. They really are a thing of beauty. These images benefit from being seen as large as possible, and are at super-huge resolution on Flickr courtesy of Unkee E.